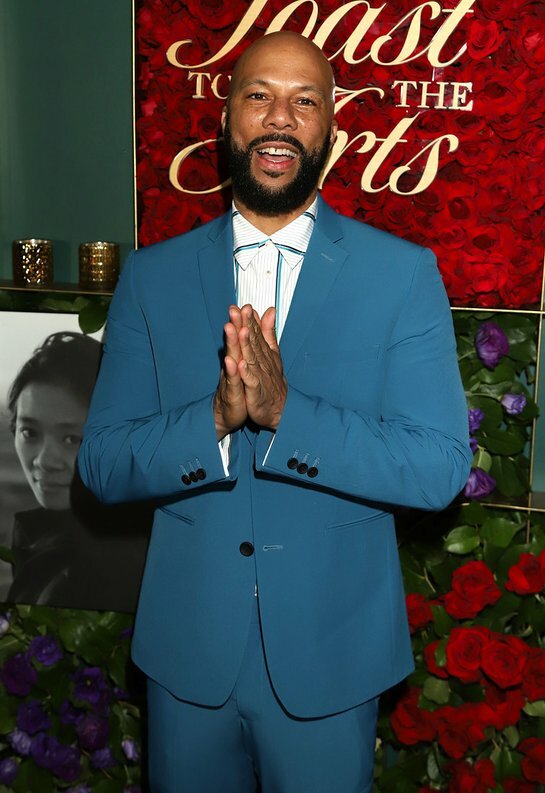 Award-winning musician, actor and activist, Common, hosted the 5th Annual, A Toast to the Arts Pre-Oscar Celebration along with his Freedom Road Productions on Friday, February 22. This year’s annual celebration honored a group of diverse female artists who have used their voices to inspire and impact culture. This year’s incredible group of honorees include Academy Award nominated Ruth Carter (BLACK PANTHER), writer-director and actor Rashida Jones (QUINCY), Academy Award nominee Regina King (IF BEALE STREET COULD TALK), actress Amandla Stenberg (THE HATE U GIVE) and director Chloe Zhao (THE RIDER). The party took place at Ysabel was presented by Imagine Justice, Lyft, Belvedere Vodka, Planned Parenthood, Audi, and Tamara Mellon. Highlights from this year’s event included music by DJ Dummy featuring DJ Kiss and a special appearance by DJ Buttercreem. Guests were served special Belvedere Vodka cocktails, Moet Imperial champagne and Hennessy. Guests included Ruth Carter, Rashida Jones, Amanda Stenberg, Chole Zhao, Mahershala Ali, Quincy Jones, Trevor Noah, Tracee Ellis Ross, Kiki Layne, Lakeith Stanfield, Lil Rel, Stephan James, Sanaa Lathan, Andre Holland, Josh Duhamel, Marsai Martin, Tarana Burke, Adriana Lima, among many others. The evening was also presented by Planned Parenthood, Audi and Tamara Mellon.